DNIT at CaixaForum is the place to be on Friday, March 27. Plaid will be playing live, and one of the most important and innovative acts in electronic music are a very welcome addition to an already impressive DNIT schedule. Formerly two-thirds of the Black Dog, long-time Warp Records artists and Björk collaborators, the duo of Andy Turner and Ed Handley have been recording together for 25 years with 10 artist albums to their name. The latest of these, Reachy Prints, released last year, is arguably one of their finest. In fact, Plaid are currently enjoying one of their most popular periods with a packed tour schedule. 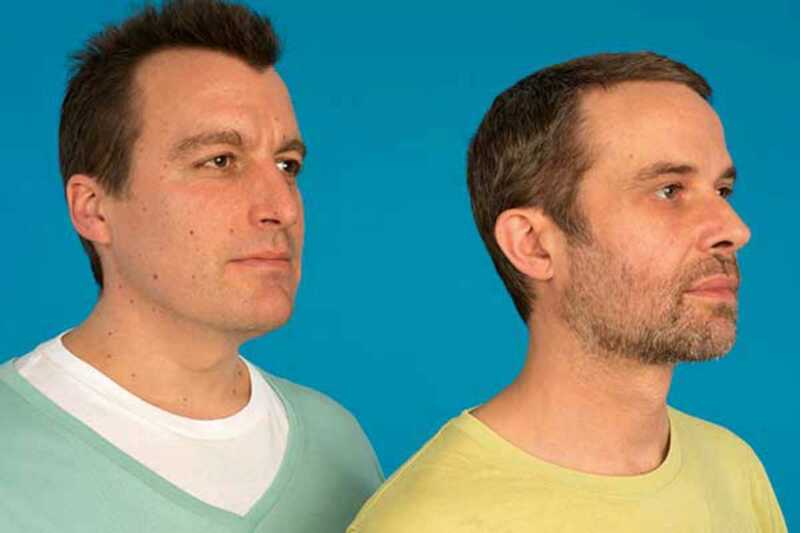 Cited as influential by a wide range of other artists, Plaid have a unique take on electronic music, full of intricate melodies and patterns, but also intensely emotional and uplifting. From the Latin rhythms of “Scoobs in Columbia,” released in 1992, to their latest remix, a mesmerizing reworking of “Can’t Kill Us” by The Glitch Mob, their sound is always changing but still unmistakably Plaid. Expect an incendiary live show at DNIT with a visual experience to match.